‘Course we’d like to tell the rain to take a hike but I more or less have forgiven it for our reservoirs were pretty skimpy this past summer. 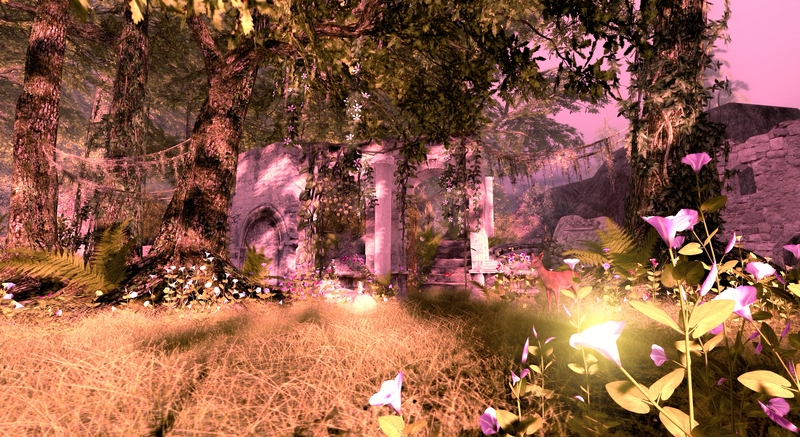 Greetings and hello fellow traveler of the world of Second Life. Or rather, worlds WITHIN the world thereof 🙂 In the early part of 2014, I and several other residents joined together for a unique take on SL Travel and exploration. 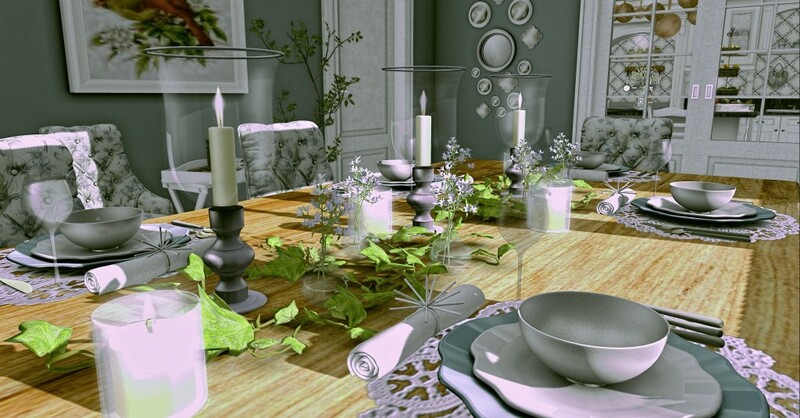 Travel 52 SL is a weekly blog challenge that is posted every Tuesday to inspire the budding virtual explorer, the languid location locator, and for us snapshot hoarders who can’t help our pixelated feet. (Original Blog Challenge Post here). 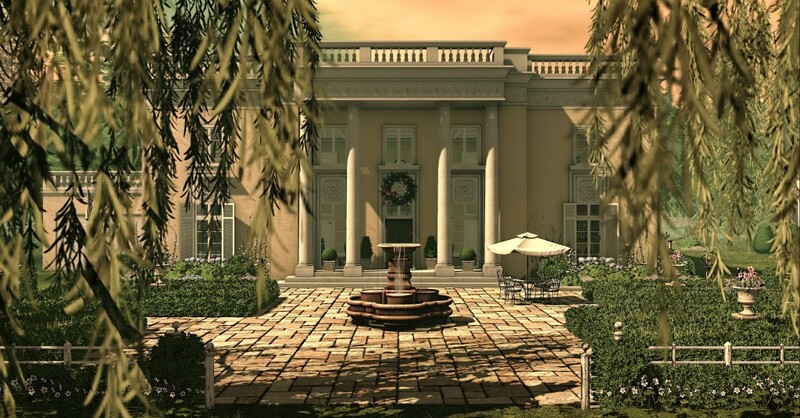 What you will find here at Cozey Dreams are some of the best kept secret locations (or not so secret), a few choice words and whit (if coffee is invited) a direct ‘landmark’ into Second Life to your chosen destination, OH and shameless, always for profit, breaks here and there. Being that this the first post here at Cozey Dreams, I wanted to showcase a familiar yet vastly changed region whose proprietor is a very dear, close, sisters at heart, real-life friend of mine. Cougar Sangria’s (classiccougarstyle.com) Lost Horizon is the perfect spring and summer locale, fully rich in traditional Americana-home good, goodness. 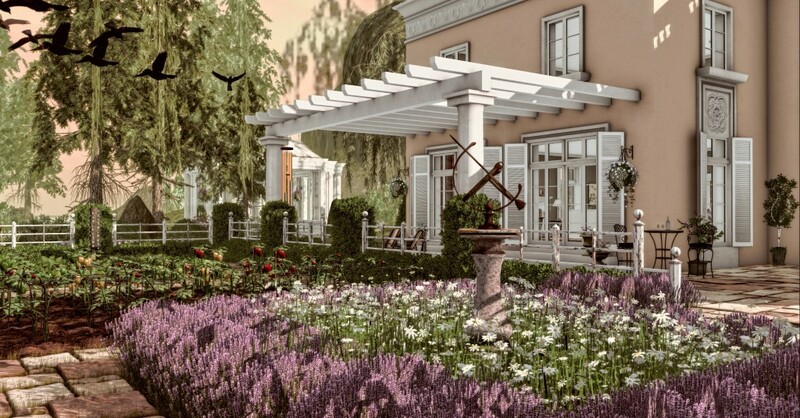 I could go on and on about her love for SL home and garden designers like Pamela Galli of La Galleria whose creations pepper every corner of the sim, or Lilith Heart’s big, burgeoning trees that seem to envelope and frame the entire region in all their leafy glory. Or how Cougar is an absolute fiend in the garden both virtual and 1st life, every root and flower planted with love and meaningfulness, ready to brighten even the soggiest of hearts. I really could go on and on. But you get the picture. AND you can get pictures too! For the next 48 hours or so, Cougar has graciously opened Lost Horizon to the public and its on me (my bad!) for not sharing it sooner. 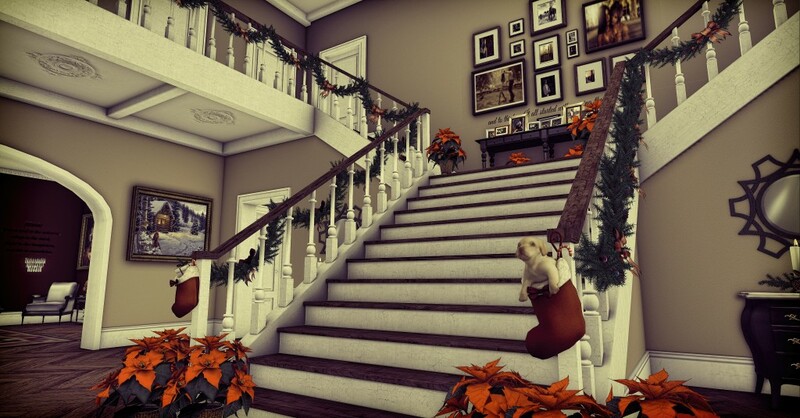 Okay actually, Lost Horizon’s Open House started on December 12th…please forgive me. It really is something of a full SL day’s worth (4) of touring simply because there is sooooo much to see. Like, the interior! 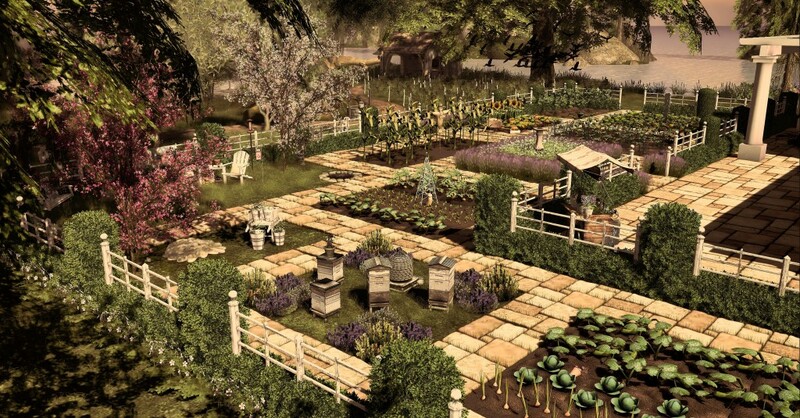 I ‘plan’ to also include my own personal SL travel challenge, Choose Your Second Life Adventure, which was sort of a play on the popular RL children’s book series. They are pretty much irregular for now as I tend to mass post live on Twitter as I am exploring. I have tried a hand at some machinima and so may ‘plan’ to include them here as well. 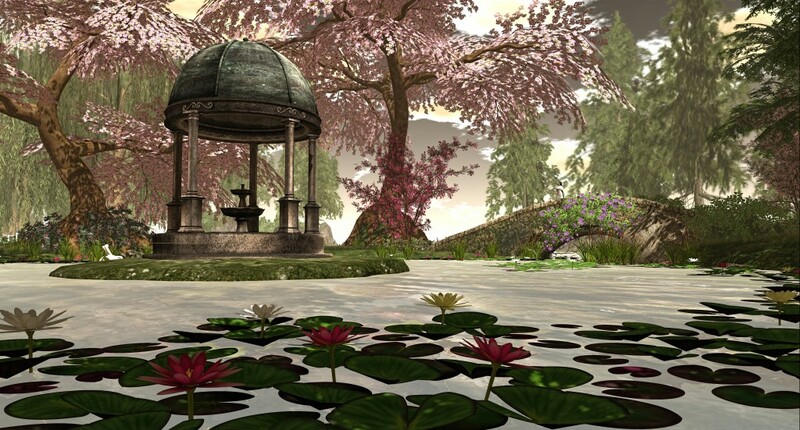 For now, fellow lurker, all you need is your camera to the ready, and a teleport to the ever eternal Second Life spring of Lost Horizons.